Win a family ticket to Harbour Park, the number one seaside attraction in Sussex! Looking for a fun day out for all the family this Easter? 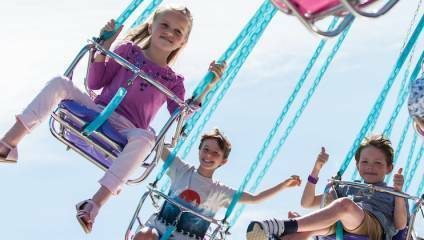 We've got you covered: back by popular demand, we are giving one lucky family free entry to Harbour Park - the number one seaside family attraction in Sussex! Located right by the sea in the delightful "New England" waterfront town of Littlehampton, West Sussex, Harbour Park promises you and the kids the perfect day out. Paddle in the sea or take a spin on the ocean-themed rides and attractions. Enjoy traditional arcade games in the Family Arcade, with indoor play areas and trampolines for the younger kids. Worked up an appetite? Grab a well-earned bite to eat with traditional seaside favourites. And of course, no day at the beach is complete without an ice cream, so you can head on down to Kelly's Ice Cream Parlour at the end of the day. Enter below to win a free family day out at Harbour Park! 6. All attraction safety rules and wristband Terms & Condition will apply.